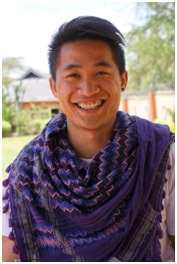 Ivan Facsoy Torafing is an indigenous youth leader and community organizer from the Cordillera, Philippines. 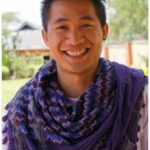 He is an activist engaged in youth issues, sustainable development, environment and climate change, and indigenous peoples’ rights issues. He serves as an advisor to the Asia Pacific Indigenous Youth Network and the Global Greengrants Fund’s Next Generation Climate Board. Yumi Sera recently spoke with Ivan, who conveyed a strong sense of responsibility towards the earth, his community, and the indigenous peoples’ movement. “Responsibility” is one of the core values – with reciprocity, respect, and relationships – at the heart of IFIP. What’s unique about indigenous youth? We – youth at the prime of our lives – are positive and progressive. We’re tasked by our elders to educate and raise awareness about problems and solutions in our communities. It’s our responsibility to take action. We advocate for solutions to climate change and other environmental challenges because of the historical injustices experienced by indigenous peoples and our obligation to continue our forefathers’ struggles. Indigenous youth are involved in protecting our environment – which is integral to our lives and survival. Our identity, culture, practices, and values are rooted in our lands, forests, and waterways. Because of our relationship with the land, we’ve developed sustainable ways to care for and protect our natural resources, especially to create a more resilient and people-centered approach to the climate crisis. But we are often ignored by the mainstream environmental and human rights movements and by our own governments. We are current and future leaders and we share a common future with all peoples. We have had a longer time on this planet and are inheriting an earth that has been ravaged by destructive processes like mining or natural disasters. With our energy and creativity and our ability to balance modern ways and education with traditional knowledge and practices, we are and can be stewards of the environment. What are your life memories that brought you to where you are? I was born and raised in Cordillera, an indigenous region in the Philippines. In that area, the Peoples’ Organizations, including my activist parents, organized massive gatherings to oppose mining explorations. I was involved in a cultural group where we told community stories through drama. Seven years ago, during the Cordillera Day celebration, we were acting out the peoples’ struggles against mining and logging. The moment I saw the audience with tears in their eyes was when I, myself, opened up my heart and eyes to be a full time activist. What advice do you have for funders who want to support the indigenous youth movement? As an advisor to the Global Greengrants Fund’s Next Generation Climate Board, I’ve seen the power of small grants creating change. A small amount of money can seed ideas from which youth can build on to motivate others around a common platform. It can inspire them to connect to other networks and be united towards their self-determined development. 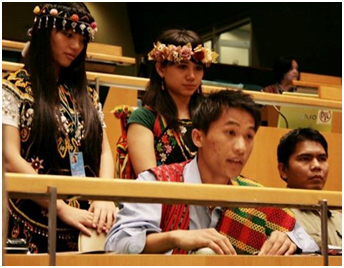 Meaning, they can aspire to improve their social, cultural, and political rights as indigenous peoples. Most importantly, young people realize that they can do something to help their own communities change their conditions. I’ve been fortunate to be trained by grassroots community leaders and also be exposed to national and international platforms, like the UN Permanent Forum on Indigenous Issues and IFIP’s annual conference. I have hope because I see practical changes, like determined youth who can articulate their demands for human, natural resources, and cultural rights. As a full time activist, it’s often hard to meet your basic needs – like food – but you can share and inspire other youth with your passion and your heart. We know that changes are not going to come around in the short term, but it’s so rewarding to be able to join young people who also hope that, eventually, their own kids and grandchildren will have a better future. The Global Greengrants Fund’s Next Generation Climate Board believes young people have effective ideas to deal with the environmental issues impacting their communities, ecosystems, and ways of life. The board members, who are leaders in the youth climate movement, put grant dollars into the hands of youth-related policy and grassroots initiatives on the front lines of climate change. With generous funding from the Oak Foundation and in partnership with 350.org, Global Greengrants is supporting grassroots youth and amplifying their voices in preparation for the UN Climate Change Conference in Paris, December 2015. Yumi Sera is a board member for the International Funders for Indigenous Peoples.